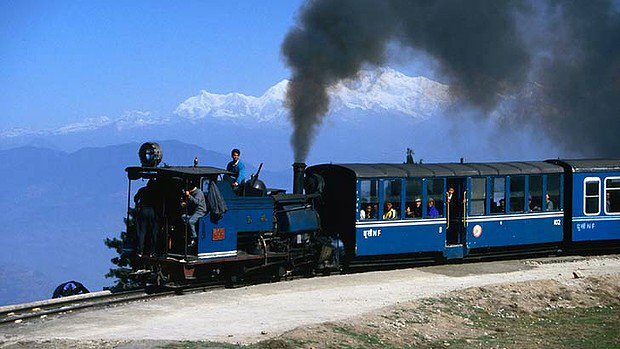 A four-day workshop on conservation and maintenance of the Darjeeling Himalayan Railway (DHR) and its related assets such as station buildings and tracks concluded at Elysia Buildings, the DHR headquarters in Kurseong, on Thursday. Officials said the workshop was part of the preparation of the Comprehensive Conservation & Management Plan (CCMP) for the toy train service, which was declared a world heritage by Unesco 19 years ago. “The CCMP, which would be prepared by Unesco, is at its final stage of completion. Keeping it in mind, a technical workshop on its manuals and interactions with stakeholders were held in Kurseong from November 19 to November 22 in the presence of representatives of Unesco,” said an official. During the workshop, the Unesco representatives discussed the restoration, preservation and management of the DHR with the participants. Those present were railway officials, local community groups and technical experts. The initiative to prepare a CCMP was taken about a year ago following an agreement that was signed between Union railway ministry and Unesco. The ministry is paying Rs 4.2 crore to Unesco for the plan. Last year, the toy train service had suffered because of the shutdown and statehood agitation. The service remained shut for over three months. Two stations, Sonada and Gayabari, were torched in July last year. One of the floors of Elysia Building was also ransacked. This year train services between New Jalpaiguri and Darjeeling have suffered because of recurring landslides. “During the four-day programme, the representatives of Unesco visited the gutted Sonada station. In the CCMP there will be a manual for architectural conservation and renovation. This would be followed up to refurbish the structures of both Sonada and Gayabari, while keeping the heritage look unaltered,” said the official. During the workshop, the Unesco representatives apprised railway officials and local community groups on how the tracks should be maintained and conserved and their preparedness in case of any disaster. “Once the CCMP is ready, we will follow its manuals in every case, right from conservation to repairing, so that the heritage property is conserved in the best-possible manner,” a senior railway official said. “That is why Unesco has been assigned to prepare it as they have experts in this field. The workshop was necessary as locals as well as our employees posted in DHR, right from NJP to Darjeeling, should know about the plan and the processes that should be adopted for conservation,” said a senior railway official.